Truck accident cases are more complicated than other vehicle accidents due to the complex equipment on the truck, the seriousness of the injuries, and the federal and state regulations governing truckers and trucking companies that may have been violated. 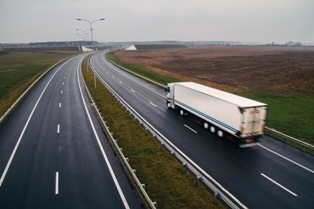 If you or a loved one was hurt in a truck wreck, you will need different types of evidence to prove the truck driver’s and trucking company’s liability. The danger is that the trucker or trucking company will destroy critical evidence before you can obtain it. How do you prevent that from happening? Hiring an attorney immediately who can write the trucking company a spoliation letter should be one of your first steps in proving your case—and obtaining the compensation you deserve. What Is a Spoliation Letter and Why Is it So Important? A spoliation letter is also known as a “spoliation of evidence” letter or a “preservation” letter. It is a detailed letter sent to the trucking company employing the negligent truck driver requesting that it preserve certain evidence or potential evidence that could be helpful to your case. Experienced truck accident attorneys send these letters to prevent the destruction of documents and other important information. Like other businesses, trucking companies collect data and maintain many business records in relation to its trucks, trailers, loads, and truck drivers. This can include many types of information—like trucker applications, manuals, spreadsheets, emails, inspection reports, employee files, and much more. In addition, Federal Motor Carrier Safety Administration (FMCSA) regulations require truckers and trucking companies to keep detailed records—the trucker’s hours-of-service logs, truck inspections, truck repairs, and the medical and driving records of truck drivers are a few—for six months to a year. All of this information could help prove or lead to evidence that will prove that the truck driver and trucking company were negligent and are therefore responsible for compensating you for your injuries. Despite these federal regulations, some trucking companies will try to destroy evidence that would show their liability or otherwise help your case. A spoliation letter to the trucking company can hopefully prevent this from happening and provide ammunition to hold the trucking company accountable if it fails to preserve requested documents and other evidence. What Information Should the Spoliation Letter Contain? Puts the trucking company and trucker on formal notice of your claim for compensation and of the documents that you are requesting they preserve. Provides you with written documentation that you gave formal notice which you can present to the court if you have to ask for a restraining order to prevent destruction of documents or to ask for sanctions for destroying evidence requested in the spoliation letter. As you can see, you will need to retain an experienced truck accident attorney who knows what evidence you need to preserve and can quickly write a spoliation letter to the trucking company. This needs to be done as soon as possible after your truck crash. I urge you to start an online chat or call me at 706-863-6600 to schedule a free, no-obligation consultation to learn about your legal options.